When you’re looking to add more color and life to your home or business, you may think that the only option is a major design makeover. The good news is that you can enjoy the refreshing look of your interior space without needing to commit to a remodeling project when you add area rugs. At Flooring America of Bradenton, we offer a wide selection of vibrant and elegant area rugs in Bradenton, FL. Our flooring center has become widely known among local homeowners and business owners for our extensive inventory of stylish and cost-effective area rugs, so we’re confident you’ll find a style that transforms your space while saving your time and energy. As your dependable rug dealers, we are committed to offering a versatile selection, while helping you meet your interior design goals. We have teamed up with the well-known manufacturers and brands to offer a wide selection of rugs and runners. Whether you are rethinking the design of a single room, a hallway, or several spaces, we have the products you want. Explore your creative options and find the right piece that will match your home or office. Our staff of friendly flooring experts is dedicated to guiding you toward the ideal rug for your residential or commercial space. We’ll help you find the pieces that accommodate your sense of style. After all, investing in an area rug is a great way to add color and establish the ambiance to any room. There are many reasons to choose rugs and carpet runners. It is a simple, hassle-free way to redefine the look, feel, and appeal of any room or hallway. Our rugs immediately take any room to a new level of style and comfort, giving you the opportunity to upgrade your living or work space with barely any time or effort required on your part. Design Flexibility: Thanks to their wide range of textures, colors, designs, and sizes, the area rug is as visually appealing as it is versatile. Create a stunning centerpiece in your living room, or add a pleasant complement to your hard surface flooring. Rugs are a quick and simple solution for transforming your space. Safety: Interiors with stairways or smooth, solid surface flooring present tripping hazards. Adding a rug adds textures and a slip-resistant surface to some of your most commonly frequented spaces. Large area rugs can even serve as a soft and plush play area for children. 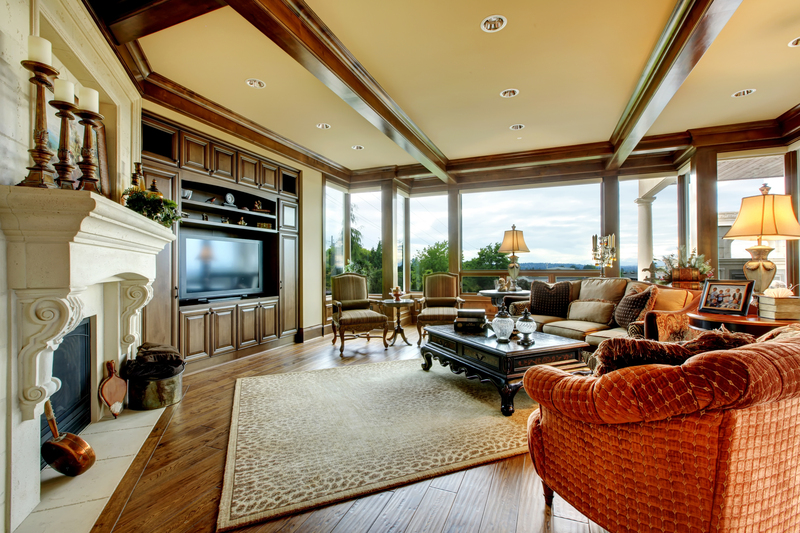 Allergy Friendly: If you have occupants or guests with allergies, investing in area rugs can alleviate their symptoms. The fibers of rugs and carpet runners can trap dust and other allergens, providing some relief to allergy sufferers. Comfort: The soft feeling of an area rug is similar to carpet flooring, meaning you can give virtually any room a distinct and comforting texture. Our flooring store offers a variety of rugs in different textures and piles heights, empowering you to add a plush aspect to common areas. When you visit our rug store to browse our wide range of stylish patterns, we take time to learn more about your specific tastes and the goals you have for your interior space by discussing your ideas during a project consultation. Our rugs combine long-term functionality with durable performance and unmatched style for a competitive price, giving you the best value possible for your investment. We know how important it is to feel like you’ve made the right decision when it comes to the purchase of a new rug, so our rug dealers connect you with products that meet your requirements while staying within the interior design budget you’ve established. During our area rug sale, you’ll have a chance to find a style that meets the standards you’ve set for your interior space. Whether you need to cover a blemish on your floor or you’re looking to brighten your home or business, be sure to visit our store at your earliest convenience to find the perfect rug. Rugs are a smart choice if you need to redefine your room while making minimal changes to your overall interior design. Of course, our flooring showroom provides the resources you need to remodel your entire interior. If your interior design plans call for a complete re-flooring project, we are here to help. Mix and match new flooring with the right rug--our showroom has the materials and assistance you need to plan your project with confidence. We’ll work with you to define your remodeling goals, and then make targeted recommendations. Professional installation service by our team is also available. From small-scale improvements to complete makeover projects, our showroom is with you at every step. Contact us to learn more about our selection of stylish area rugs. We serve clients in Bradenton, Sarasota, North Sarasota, and Palmetto, Florida, and the surrounding communities.